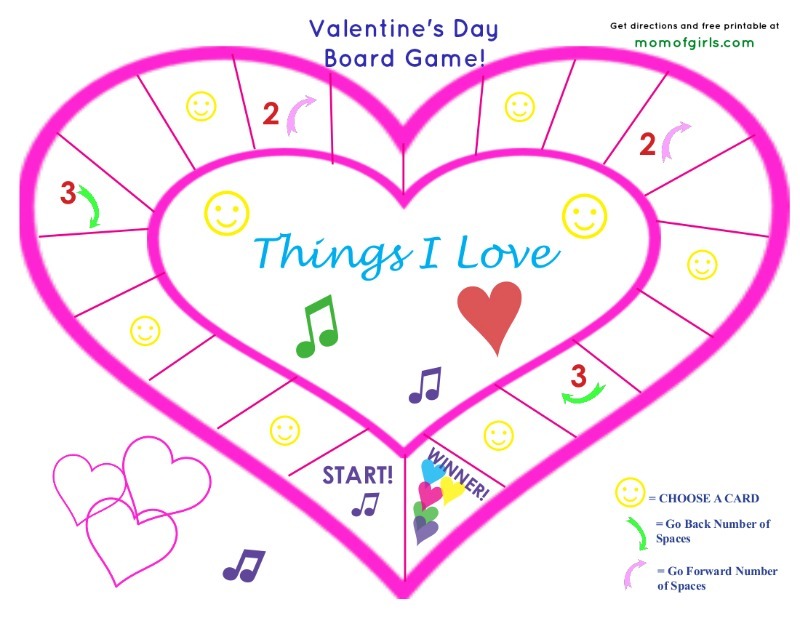 Valentine’s Day Board Game For Kids – Free Printable! 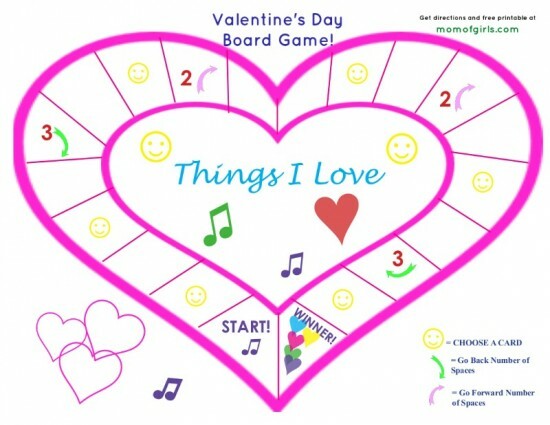 Here is a Valentine’s Day game for kids I created as an interactive activity for our upcoming Valentine’s Day family party. It’s a board game that can be printed at home, and it includes activity cards to add even more fun. Download the three-page free printable for your board, interactive cards and directions. I suggest using card stock paper for printing, or construction paper. If you use construction paper or regular printer paper, consider glueing the playing board to a piece of cardboard to add some weight. Plus, if you glue the board to a larger piece of cardboard, you can keep the stack of cards on the cardboard, too. Read over instructions and get ready to play! Each player chooses a coin, bead, or small object to represent them on the board. Each player rolls the dice and moves their object to that space on the board. Each player should follow the instructions in the space where landed. If there are no instructions in a space, the player is safe. Allow each player a turn, moving in a clockwise or counterclockwise order. If choosing a card, the main player goes rst, but each player must also follow the instructions on the card and dance, etc. This can be done as a group (i.e. dancing) or one by one (share a favorite). The first player to land on the winner block wins. If a player does not land on the block, they must go back around the board until there is a winner. p.s. If you have young kids, here’s a Valentine’s Day game I created a few years ago, using Blue’s Clues as inspiration, :-). 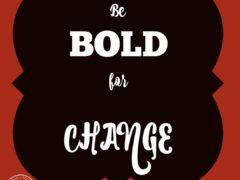 « 2016 American Girl Doll of The Year Giveaway! This is so cute! 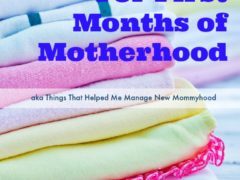 I think I’ll do it with the kids for homeschool next month! Thanks for sharing!